‘Tis the Season for Planning Your Big Day! There is something magical about hosting or attending a wedding in the mountains of North Georgia. The crisp air, history and natural beauty mixed with southern style have attracted soon-to-be-newlyweds for years. What better place to escape the hustle and bustle of Atlanta, and just a car ride away? Big Canoe offers sophisticated comfort in an elegant, mountain setting. A private, residential community with resort-like amenities, Big Canoe is located at the foothills of the Appalachian Mountains just one hour north of Atlanta, GA. 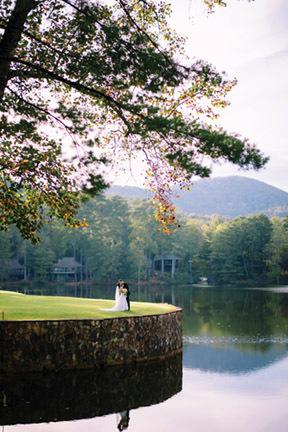 Although gate access is reserved for Big Canoe Property Owners and their guests, the ability to host outside events in Big Canoe including weddings and private parties, is one of Georgia’s best-kept secrets. No one knows this better than Hector Rosano and Gerard Monte; the newest dynamic duo to arrive on staff at Big Canoe. Previous owners of Madeline’s Café & Bakery and Coast 2 Coast Catering in Jasper, Hector and Gerard have planned many weddings and events throughout the years at the various Big Canoe venues for their clients. This talented pair offer far more than just deliciously catered food and exquisite decor. 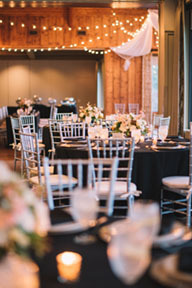 They “do it all” to assist with the rehearsal dinner, wedding ceremony and reception details to ensure a successful event experience for everyone involved. 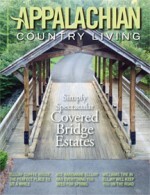 With its 7,000+ acres of meaningfully preserved, yet modern grounds and resort-style amenities, Big Canoe is undoubtedly one of the most unique venues and communities in North Georgia. Soon-to-be-newlyweds can choose to host their event at the beautiful Clubhouse at Lake Sconti, Canoe Lodge or Swim Club. There is even a multi-denominational Chapel on-site, along with 27 holes of championship golf, three lakes, a marina with boat rentals, swimming and fishing, a wellness center, racquet club, two sandy beaches and an award-winning hiking and trails system. With Rosano and Monte on board, the new understanding of hosting an event at Big Canoe will be more of a mountain boutique catering experience, with exclusive customer service and on-trend event design. With trends in mind, the Holidays have become the most special time for couples to get engaged, followed by January through March as the most popular time to book a wedding venue. In fact, more event dates are booked within the first three months of the year than at any other time, and this trend gains momentum every year. 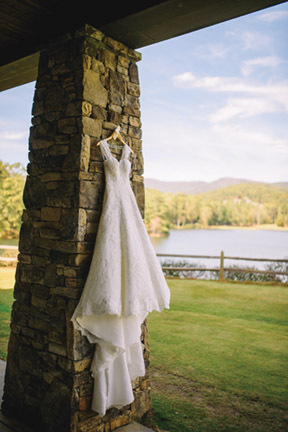 As a service for newly engaged Atlanta brides and grooms in 2019, The Clubhouse at Lake Sconti in Big Canoe will begin hosting invitation-only bridal open houses and tastings. The first one is scheduled for Saturday, January 26 from 11:00 a.m. to 4:00 p.m., and will feature wedding package menu tastings, door prizes and a look at Big Canoe’s all-inclusive packages that may include custom florals, photographers, shuttle services, DJ’s, tablescape ideas, wedding cakes, rentals and more. This will give potential brides a first-hand look at what Big Canoe has to offer as they begin their planning journey, and special insight into Rosano and Monte’s sought-after expertise. When it comes to planning a wedding, Rosano first reminds a couple of the need to plan the reception by setting the mood with the menu. A unique reception idea is to offer food stations with ethnic twists. Your tastes or heritage will probably determine that, such as Italian with pastas and bruschetta. Or, southern gourmet favorites like macaroni and cheese, served cupcake-style. Casual dinner styles add a relaxed and informal feel to the celebration. 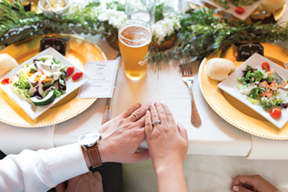 The wedding couple may have a favorite food of sentimental meaning for them. Perhaps they cook together or enjoyed a certain ingredient on their first date. Buffets are always popular, as it is less expensive for guests to serve themselves and offers variety. Buffet options work well for either small or large parties. Both buffet-style meals and plated dinners are options to consider with a Big Canoe event. As the wedding and reception is being planned, colors are an important element. Each season suggests its own colors such as pastels for spring and jewel tones for autumn. To reverse seasonal hues, “just doesn’t usually work,” Rosano says. The season of the wedding will also determine the flowers that will be used. Your favorite flower may not be the one you can use or afford if it’s out of season. Monte reminds the bride that when plans are being laid out, she needs to bring a photo of her gown and swatches of her attendant’s gowns and any other wedding color swatches that may be needed to set the hues for just the right selections. 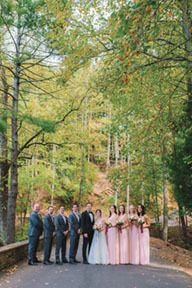 Rosano adds that, “Big Canoe is not just for weddings. It’s perfect for any type of gathering or special event – golf outings or corporate events, bridal teas, baby showers, luncheons, wine dinners and especially holiday parties.” It offers privacy and exclusivity with potential access to top-notch amenities. 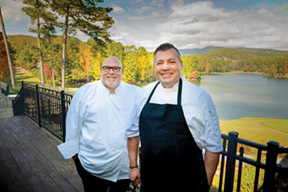 For 25 years, celebrity chefs Rosano and Monte have catered food— and so much more— for brides and grooms, starting their business in southern California and relocating in the North Georgia mountains eight years ago. “And we’re here now in Big Canoe to make your wedding day or special event dreams come true,” the popular chefs assure. 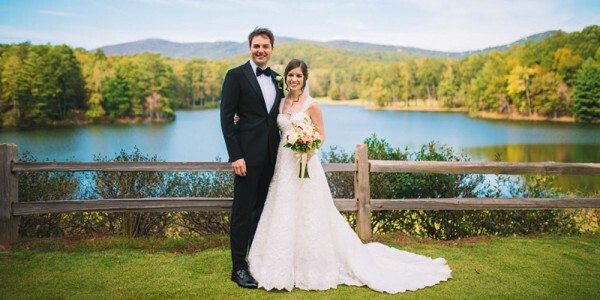 From on-site custom floral arrangements and specialty linens, to incorporating Grandma’s secret family recipe into the dinner menu as a surprise for the bride, this duo aims to please and are sure to be major assets to the hidden gem of Big Canoe. 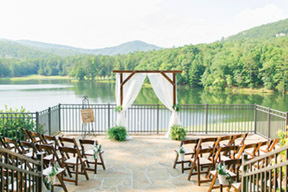 Visit bigcanoewedding.com for more information about how to get on the guest list for Big Canoe’s upcoming Bridal Open House.